A Random Collection of Images For Your Edification and Enjoyment – Dork Forty! So time and energy have been in short supply on the nerd farm lately. Allergies, taxes, busy days… We just couldn’t get the usual long-winded essay done. Which means it’s time to post up a bunch of pretty, pretty pictures. A lot of these are things we’ve shared over on the Dork Forty Facebook page, so folks who follow us there may have seen some of this before. But there’s other stuff mixed in, as well, so hopefully there’s something new for everybody here. …holy crap! Look at that shading! All those fine lines and nuances and tone and mood and depth! None of which, in the era Swan was working, would have ever made it to the printed page. Comics printing was just too cheap. Even if it could have been rendered in ink (and I don’t think most of it could), it would have still been swallowed up by the color. And, from what I hear, this wasn’t just something he did every once in a while, or just for cover illustrations like the one above. Every single page was like that. 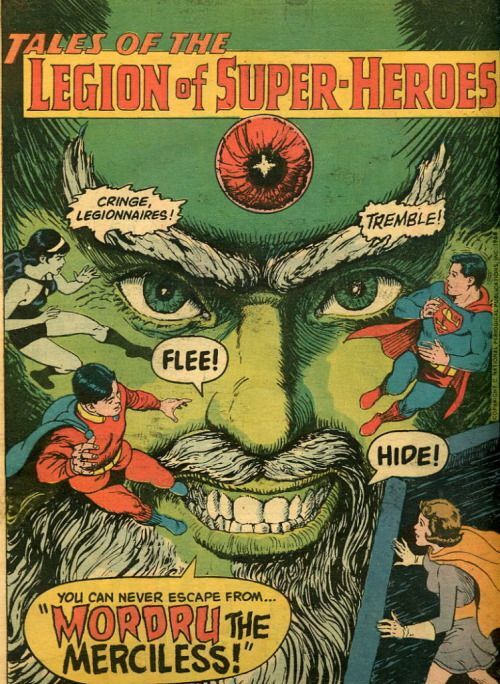 But I think you’d have to render every image as big as that Mordru head to really get his pencil style across, and that’s just not what comics do. 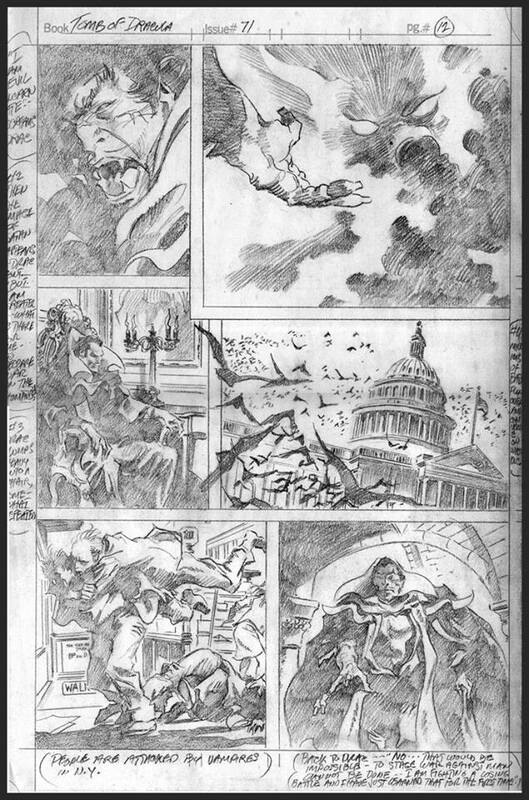 And as long as we’re on the subject of pencils that don’t always translate to the printed page, we should probably take a look at Gene Colan. 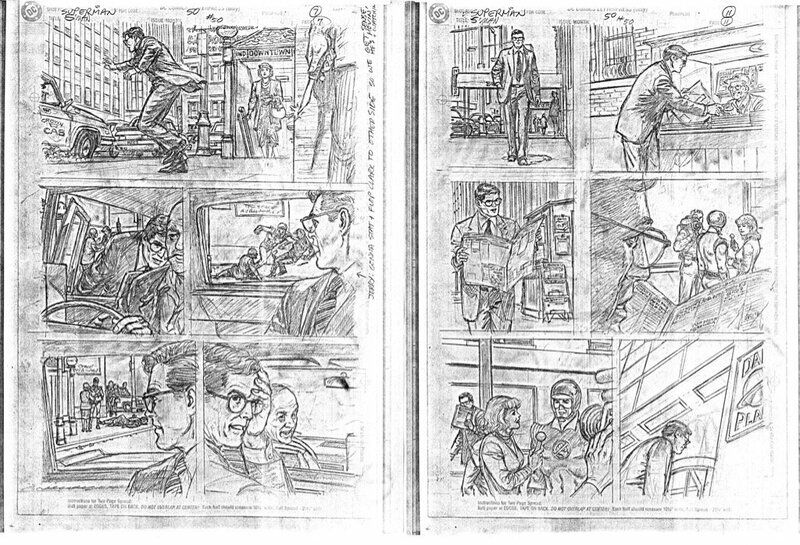 Like Swan, Colan turned in impossible pages with exquisite pencil work that the reader would never, ever see. 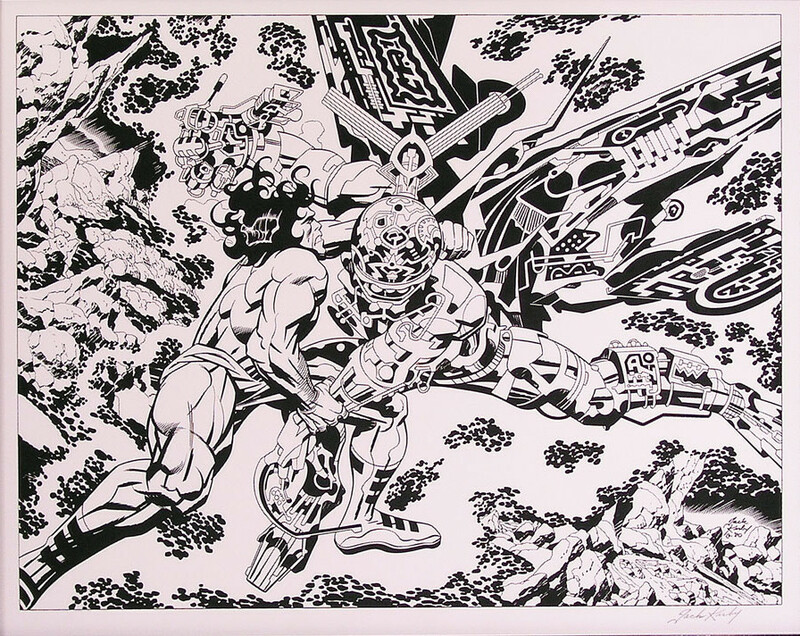 Inker Tom Palmer was able to make his stuff work with deep blacks and a judicious amount of zip-a-tone. 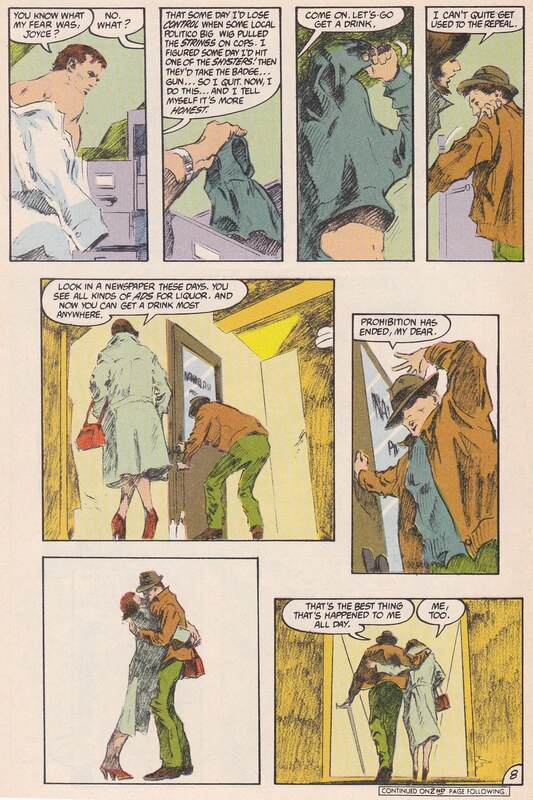 But Colan was also lucky enough to be considered a “quality” artist to the point that he had his pencils reproduced straight to the page in the 1980s, on a noir detective comic called Nathaniel Dusk. Of course, funnybook production still wasn’t really up to the task, and those pages often didn’t translate as well as they’d hoped. But at least they tried. 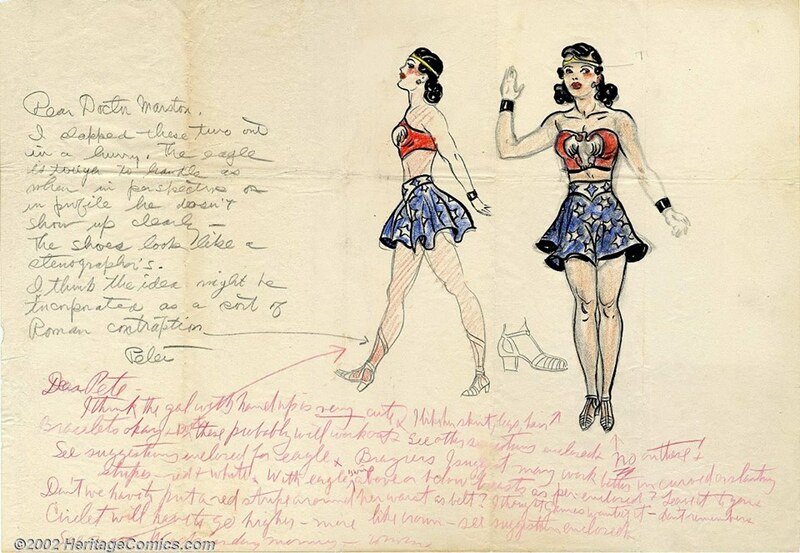 Also (and I think this one’s really cool), here’s one of Harry G. Peter’s early costume design sketches for Wonder Woman. The handwriting’s a little hard to read, but the back and forth between Peter and William Moulton Marston on this page is a cool peek into the process behind one of the most enduring super hero funnybook characters ever. Not all sketches are planning work, though. 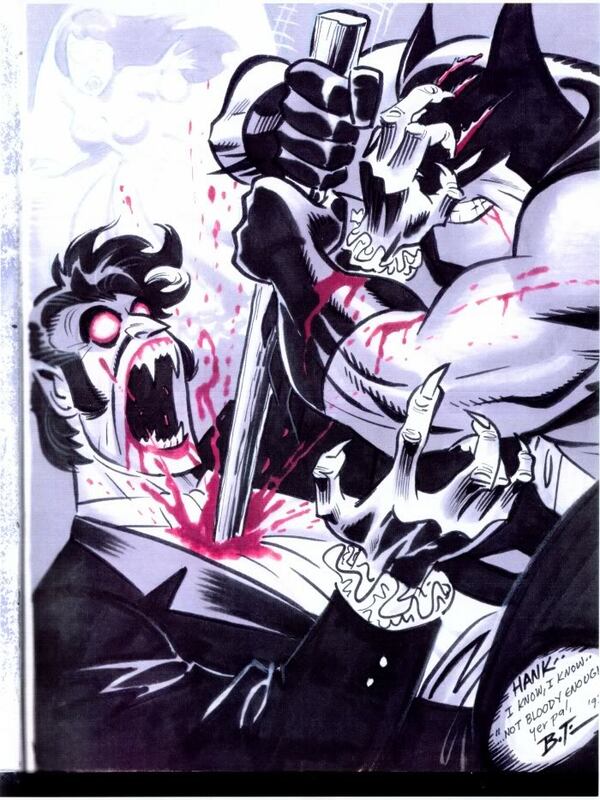 Here’s something Bruce Timm did for a fan: Batman vs Dracula! But, hey! 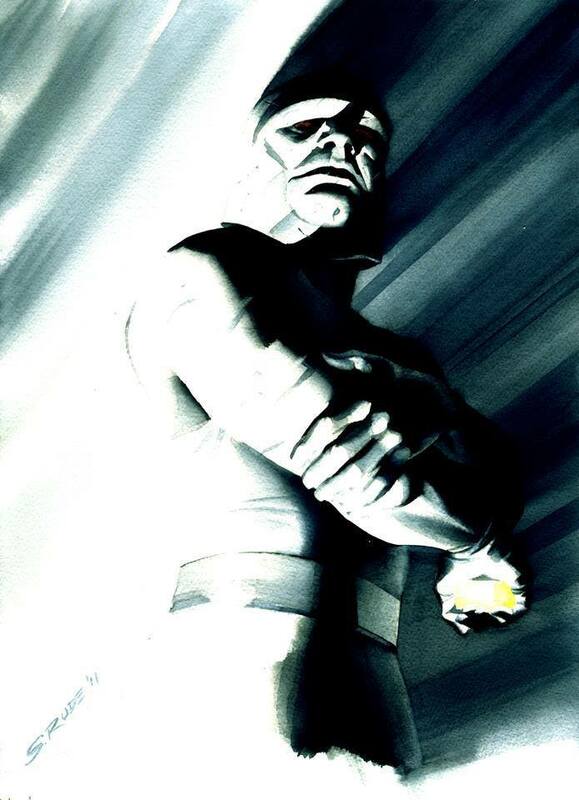 Did somebody say Darkseid? 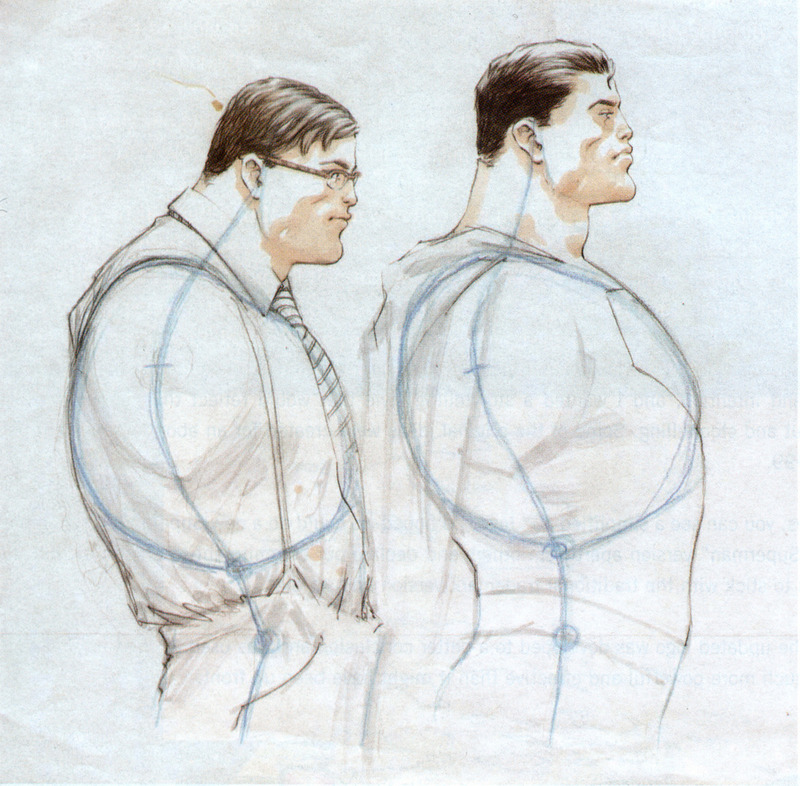 Here’s two more sketches of the God of Fascism, from Steve Rude and Chris Samnee. Rude captures the attitude a bit better, I think. But Samnee’s line drawing is too cool not to share. 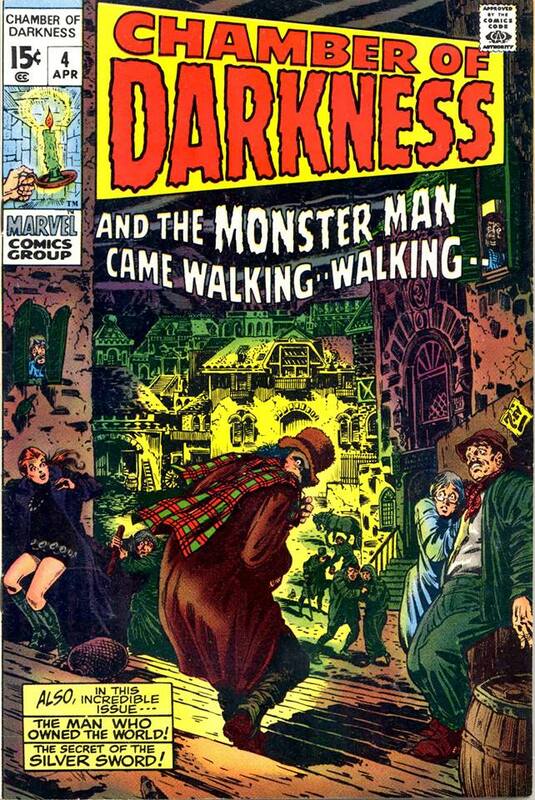 I also found this old Marvel horror cover, penciled by Marie Severin with inks by Bill Everett. This is exceptional work from both artists, with great mood and detail, and some fine cartooning on the faces, to boot. 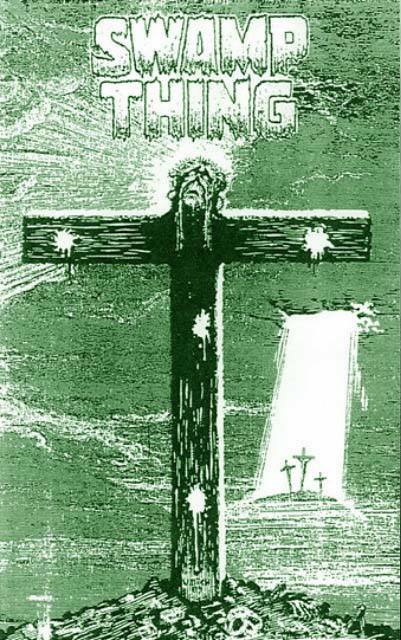 No less fascinating is Rick Veitch’s cover for Swamp Thing #88, the unpublished story in which Swamp Thing met Jesus. Editorial approved the story, then rejected it after work on the issue was nearly complete. That ended Veitch’s run on the book, and kept big names off it for nearly 50 issues. Details on the background of this situation can be found here: https://popcultureuncovered.com/…/the-odd-and-true-tale-of…/. 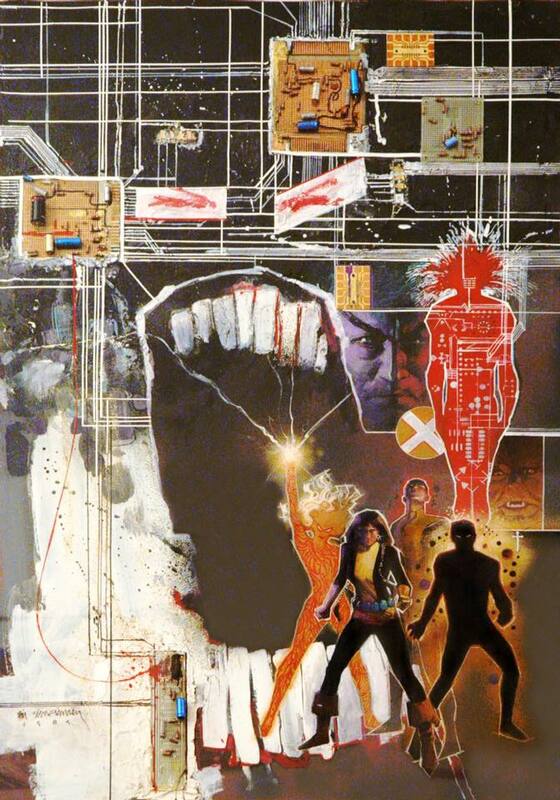 Then there’s this Bill Sienkiewicz New Mutants cover. It’s kind of a famous image, I know, but I had a poster of it on my wall in college, so it’s always held a special place in my heart. I especially like how, in addition to the wild abstractions in the figures, he also did some mixed media collage stuff, literally gluing bits of computer circuitry onto the page. Shades of the Celestials there, I think. 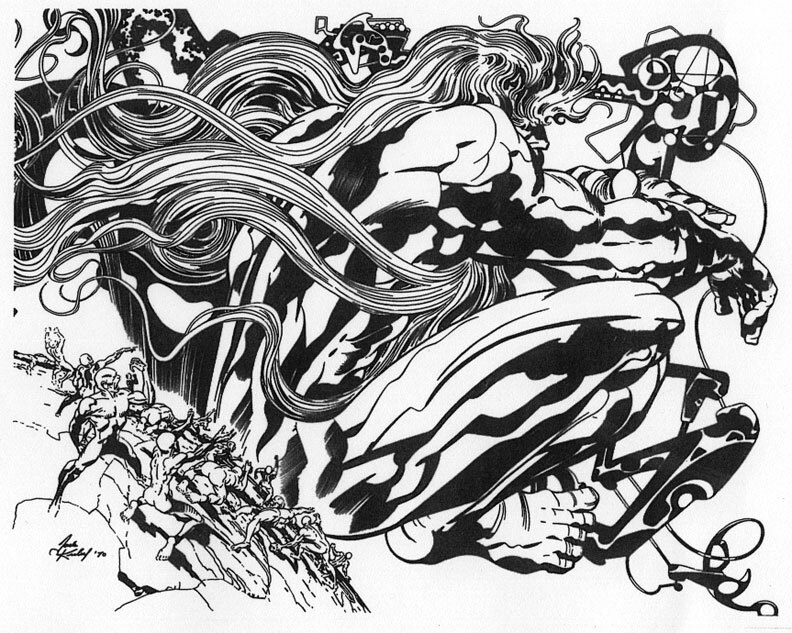 I’ve also started looking back into Kirby’s Golden Age work of late. 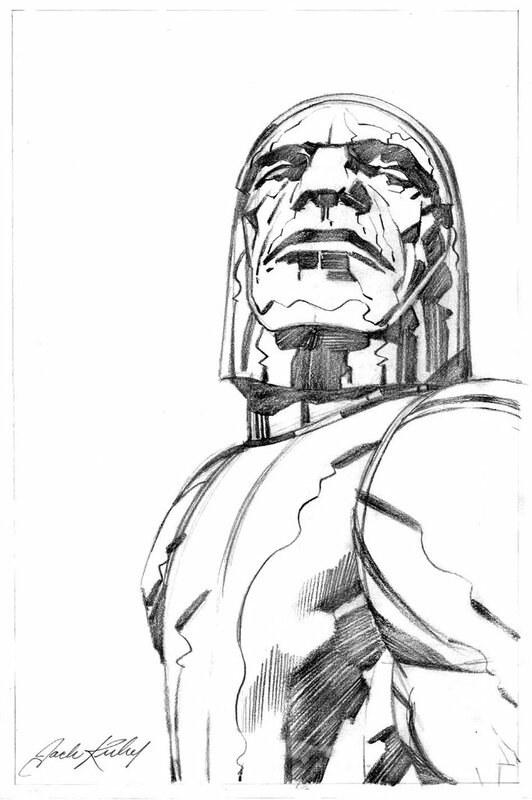 I don’t love all of it, but when the younger Kirby was on, he was REALLY on. 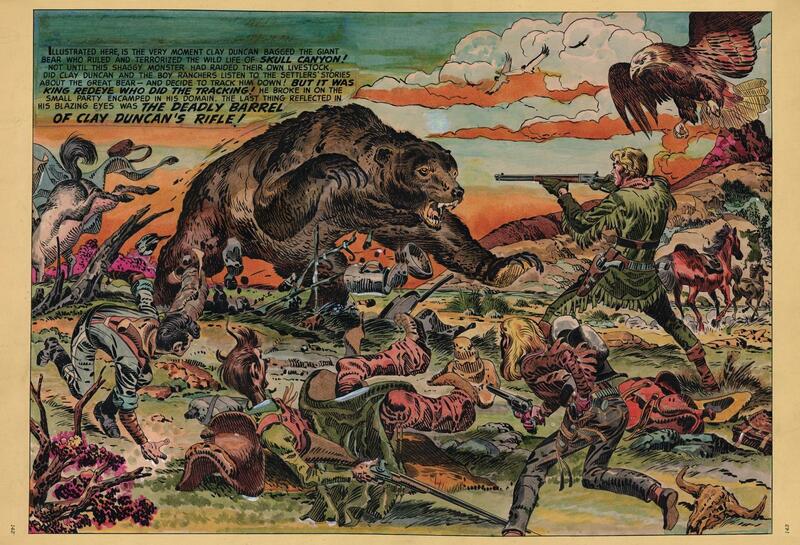 Here’s a two-page spread from a 1951 issue of Boy’s Ranch that’s got all the power of Silver and Bronze Age Kirby, but also some illustrative flair in the shading that you don’t often see in his work. 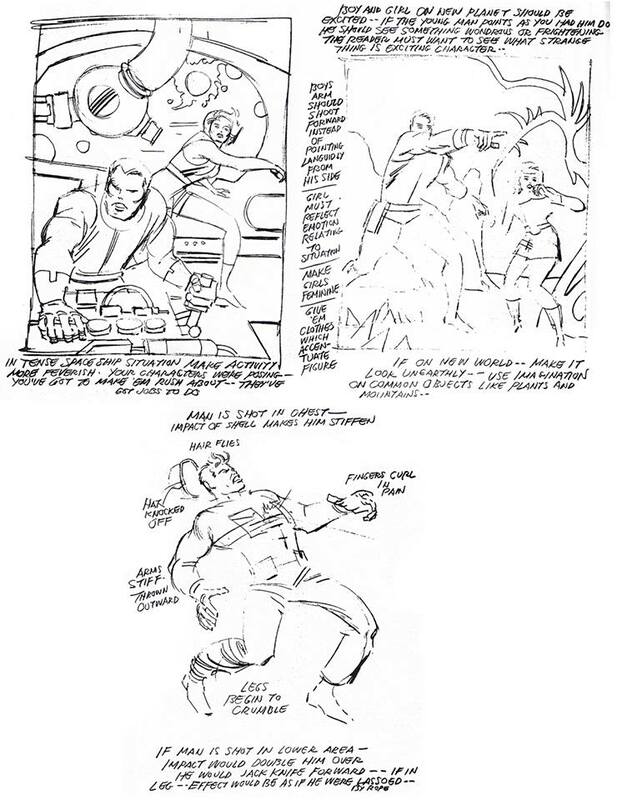 Another thing that’s seldom seen in Kirby’s later work is his talent for cartooning, on display above with that lanky guy laying down in the middle foreground. That guy’s a cartoon character in the midst of an otherwise realistic (if exaggerated) drawing. And somehow, it all works. This page really gob-smacked me when I ran across it recently. Nice to know that there’s still stuff for me to learn about my favorite funnybook artist. So many wonderous, beautiful images to all take in, but if nothing else, there was a reason Kirby was/is King, and those images prove it in spade. Never saw his renditions of God or Jacob wrestling an angel/celestial before, but damn if that isn’t truly cool as hell! That painted western piece by Kirby is pure wow! Never saw that one before either, and other than the cartoon character you pointed out, I honestly wouldn’t have thought that Kirby drew all that. 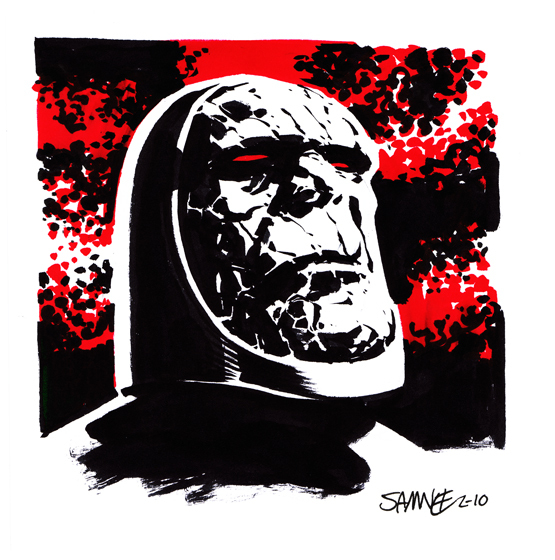 Always appreciate Samnee and Rude art, and both of them nailed Darkseid in their own signature styles. 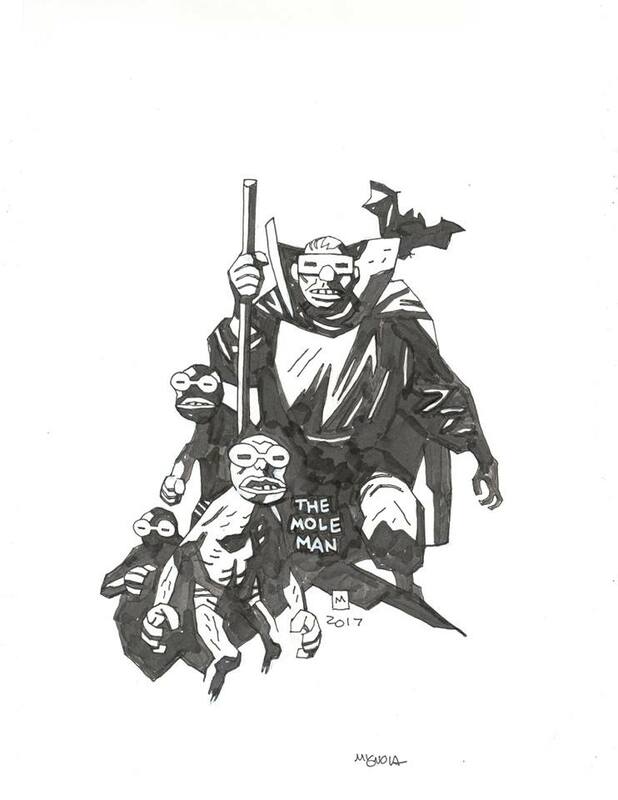 Hey, even Mignola can make the Mole Man look interesting. I can’t be the only to think based of that sketch, how well Moley Moley could/would fit into the Hellboy-verse. 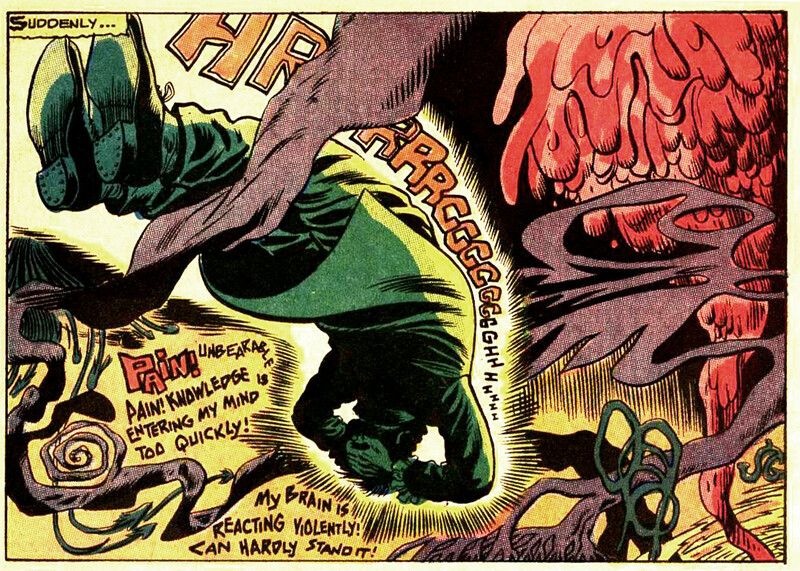 Yeah, there’s a good bit of Kirby in Mignola, and the Mole Man sits in exactly the place where their styles overlap. As for that Boy’s Ranch spread… It’s gorgeous, isn’t it? 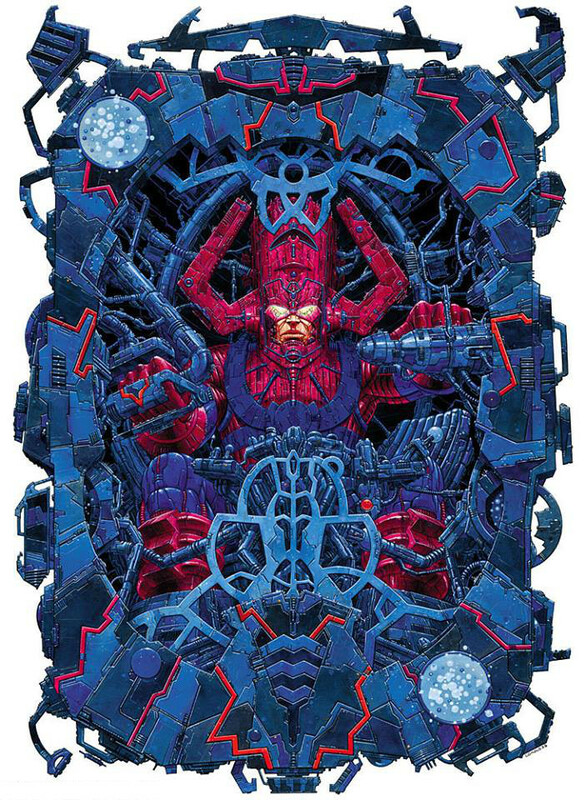 I believe Kirby did full art on it, too, right down to the painted color. That became increasingly rare for him over time. 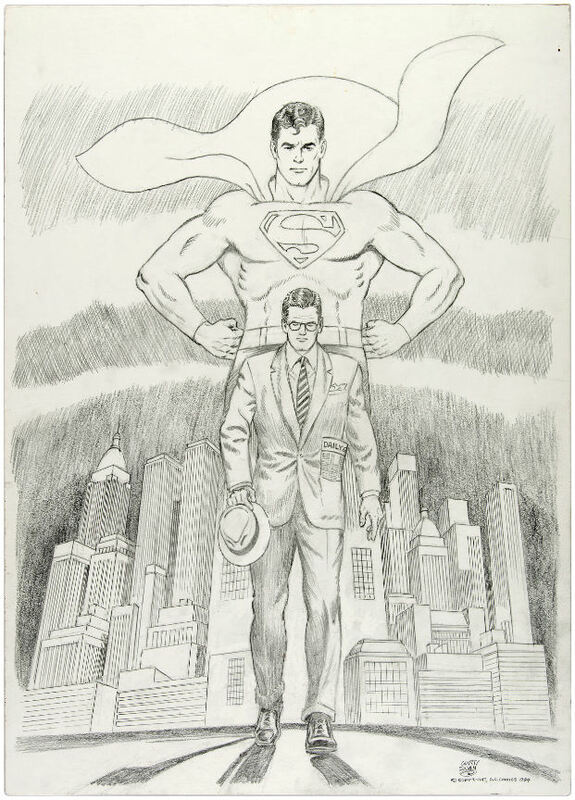 After the comics industry crash of the 1950s, he sought out more and more work, because he was afraid he wouldn’t be able to feed his family without it. 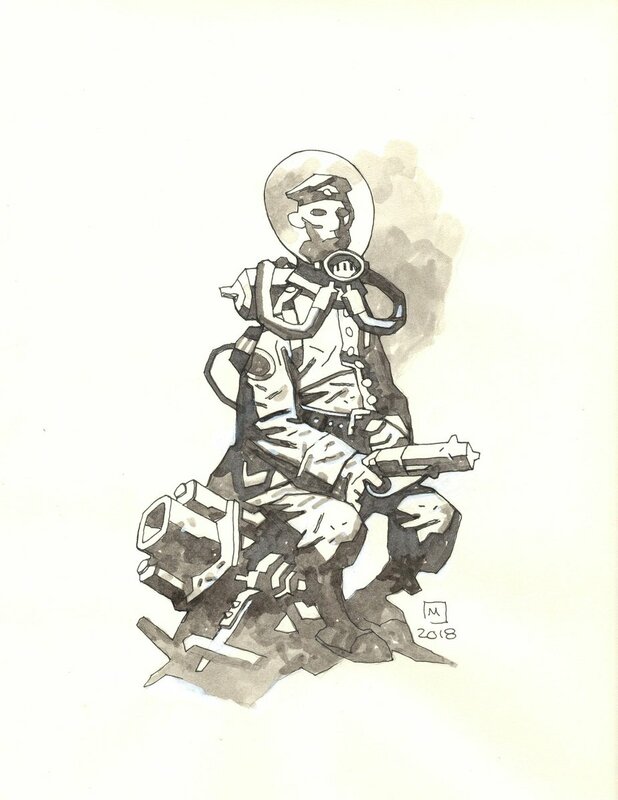 And that left him little time for full process stuff. He also became increasingly restless, creatively. 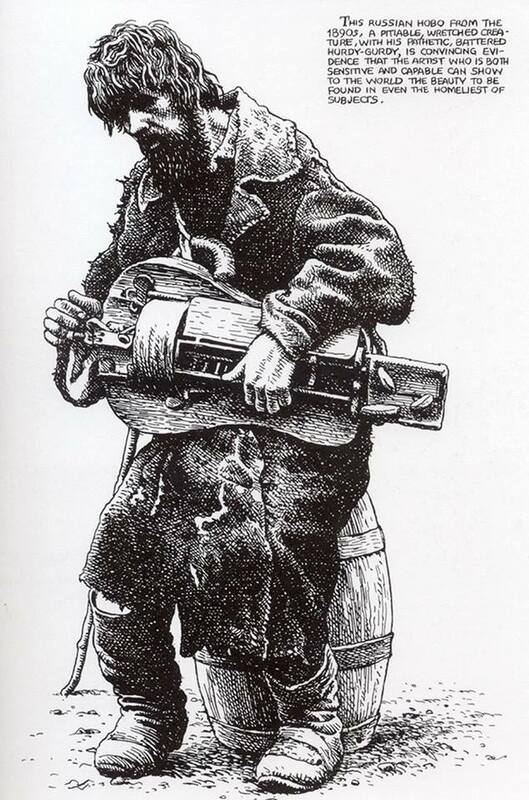 He apparently got to the point that he didn’t want to ink his own work, because he was more interested in moving on to the next thing. 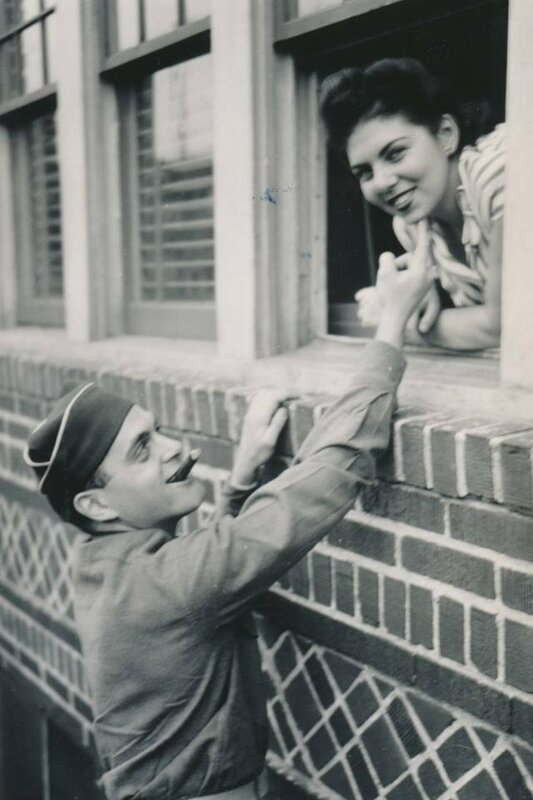 Amazing guy.